Look through the answers to the most commonly asked questions about Parent Essential Oils and their role in health. Question: What are Parent Essential Oils (PEOs) exactly? Answer: They are the two, short- chain, polyunsaturated fatty acids, that are essential to life, which are called scientifically, Linoleic Acid (LA) and Alpha Linolenic Acid (ALA), but commonly known, respectively, as Parent Omega-6 and Parent Omega-3. They are found in varying amounts in seeds, grasses, flowers, nuts and other plants. PEOs cannot be made by the human body from other nutrients. Therefore, they must come from food. Parent Essential Oils (PEOs) is a term coined by Brian Peskin to distinguish these two particular Omega oils from derivative Omega, long-chain EFAs that the body can make if there are sufficient of the unadulterated parent oils (PEOs) in the cells from which to make them. Brian Peskin considered using the name Parent Omega Oils (POOs), but the abbreviation was too memorable, and didn’t include the concept of “essential to be eaten” in that the body cannot make them. Again, Parent Essential Oils are essential in two ways. 1. First, they MUST COME FROM FOOD and cannot be made by the body. 2. And, second, they are essential in the sense that human life is not possible without them. To work properly in the cells and tissues of the body, Parent Essential Oils MUST be unheated, MUST be (chemically) unprocessed, SHOULD be organically raised and MUST be very carefully handled so that they maintain full physiologic functionality. Virtually all the polyunsaturated, grocery oils that people consume today contain adulterated (IE “non-correctly-functional”) versions of Parent Essential Oils. This is a huge problem because these adulterated oils are insidiously damaging to health — we say insidiously because their damage often isn’t noticed for years or decades. The primary way that adulterated or damaged Essential Fatty Acids (EFAs) are harmful is that they are no longer fully functioning Parent Essential Oils and will, therefore, no longer readily hold and release oxygen. All EFAs, except for these two parent oils (ALA and LA) are correctly termed EFA “derivatives”. This includes the most common derivatives such as Arachidonic Acid - AA, Docosahexaenoic acid - DHA, Eicosapentaenoic acid - EPA, etc. Question: What oil sources make up the Brian Peskin recommended blend of oils called Parent Essential Oils? Answer: The following cold- pressed, untreated, organic oils: • Organic Flax Oil • Organic Pumpkin Oil • Organic High Linoleic Sunflower Oil • Organic Evening Primrose Oil • Organic Extra Virgin Coconut Oil These oils were chosen because they have high content of the Parent Omega Oils called Linoleic Acid (Parent Omega 6) and Alpha Linolenic Acid (Parent Omega 3). The purpose of the Coconut oil is to help prevent oxygen contact with (and therefore degradation of) the Parent Omega Oils. Question: Why isn’t having high oxygen saturation (such as 98) all that one needs to worry about — in regard to satisfying the oxygen needs of the human body? Answer: A good way to think about this is to ask another question, “why does one need to eat food”? Wouldn’t it be sufficient merely to stock one’s kitchen pantries with food? (Isn’t food that’s really close at hand just as good as food in the stomach?) Well, obviously, one has to get the food out of the cupboard and into one’s body, for it do do any good for one’s health and vitality. So, the next question is really the same question as the first. Question: Does oxygen need only to get from the lungs into the blood? Or does oxygen need to travel further and go into each individual cell? Answer: Oxygen absolutely needs to go inside each and every individual cell. Oxygen going ONLY INTO the bloodstream is akin to putting food in one’s kitchen pantry. It doesn’t do much good there, unless it goes further into one’s body. Similarly, oxygen has to go into each cell. That’s because the miracle of life happens in each individual cell, not just in the bloodstream. Question: Since oxygen is required to reach to the individual cellular level (and not just the bloodstream level), is it possible for the flow of oxygen from one’s bloodstream into one’s cells to be impeded? Answer: Yes, and that is like saying, “what if something stops me from getting food out of my cupboards and into my mouth and eating it?” If anything stops you from taking food out of the cupboard and eating it, or if anything stops oxygen from going from the bloodstream into your cells, then what is needful IS NOT HAPPENING. And, this is precisely what happens when one consumes adulterated vegetable oils (which are virtually all modern vegetable oils). Those adulterated vegetable oils prevent the oxygen from going into the cells. Adulterated vegetable oils incorporate into cellular membranes (during cellular replication cycles) and thereafter reduce the flow of oxygen from the blood into cells. Adulterated vegetable oils act similarly to a layer of plastic around cells, thwarting oxygen from going in to the cell. When adulterated essential fatty acids incorporate into cell membranes, they reduce or throttle down the transfer rate of oxygen into to cell. So, if one is eating modern vegetable oils, eventually one will come to the unenviable state of having normal blood oxygen saturation level readings (i.e., 96+) and simultaneously having insufficient oxygen within one’s cells to maintain health. Question: Why do we call modern grocery oils adulterated and how exactly do they impede the flow of oxygen into cells? derivatives in the body contributes to excess free radical production. Question: Why do doctors recommend fish oil supplements? Answer: Fatty acid derivatives such as EPA and DHA are known to be essential to life. Most doctors do not understand, however, that a person doesn’t need to supplement with these derivative oils, because the body can make them from the Parents Omega Oils. In other words, although they are essential to life, they aren’t essential to eat. Many groups of people don’t eat fish, but are perfectly healthy. People may not eat enough undamaged Parent Oils and as a result may not be producing enough EPA and DHA derivatives. Instead of suggesting that people supplement with fish oil, and because excess fish oil is counter productive to extending life, doctors should be suggesting that their patients supplement with undamaged Parent Oils. That would be a better solution. They just don’t understand this. Because diets have moved away from raw plant foods in the last 50 to 70 years, many people do not get enough of the unadulterated Parent Omega Oils (LA and ALA). Therefore, their bodies do not have enough undamaged parent oils from which to create derivatives. For this reason, many people do benefit from supplemental DHA and EPA, but, only in very small doses (a few- milligrams not like the supra=pharmacological gram doses in fish oil supplements). Doctors have been confused by studies that show that fish oils act like steroids in the body, benefiting persons with arthritis symptoms. Neither steroids, nor fish oil are particularly good for long term use. Doctors, also, hear that fish oil helps to lower lower triglycerides in the blood. Doctors don’t seem to learn, however, that fish oil has no effect on heart-disease caused mortality. Their goal shouldn’t be a good blood test, but a good patient outcome, i.e. less heart disease. In the long run, getting the parent oils is always the better solution than taking the derivative oils. Fish oils could be used either short term, or in 1/50th the dosage amount that is normally recommended. So, again, what is not understood by most physicians is that Omega derivatives can be (and are) made in the body, from the parent EFAs, on an “as needed” basis in extremely limited quantities, as long as the parent oils are consumed in an adulterated form. Therefore, consumption of EFA derivatives from food is not necessary. What is also not understood by most doctors is than any temporary benefits are really not worth long term bad effects. Widely popular fish oil supplements consist entirely of the derivatives, DHA and EPA, and in such large, suprapharmacological OVERDOSES, that they overdose the patient, causing some benefit (the tiny amount that is needed), but also, causing damage due to the overdosed amounts. Paradoxically, fish oil provides no Parent EFAs for cells to use to build cell membranes. Few, if any, physicians ask to see the ”normal standard” values of physiologic DHA/EPA amounts in tissue and plasma compared to the parent PEO amounts in tissue and plasma. When they discover the truth of how little DHA and EPA there should be in relation to how much they have been administering, physicians are shocked and dismayed that they have been (unknowingly) harming their patients. Question: Can you give us a list of good oils and bad oils (in terms of cellular oxygenation)? Answer: Sure, but first the principle: All seeds, grasses and nuts contain LA and ALA (Linolenic Acid and Alpha Linolenic Acid) which will become part of cell membranes and attract more oxygen into the cells’ interior. Two things are important: • First that no damage has happened to the oils. This means PV values (peroxide values) less than 6. Most grocery oils have PV values in the 20s or higher. It also means keeping the oils refrigerated and stored in opaque containers. • Second, the ratio of LA to ALA should be in the range of 2 to 4. That’s because we need much more of the LA (and we consume to much adulterated LA in our modern world, that we need to eat more of it Now, here’s our list: (good, neutral, bad): • Organic Blend of Parent Essential Oils (already in a 2.5:1 ratio of LA to ALA) • Organic, Cold-Pressed Evening Primrose Oil • Organic, Cold-Pressed Pumpkin Seed Oil • Organic, Cold-Pressed Flax Seed oil • Organic, Cold-Pressed Safflower Oil • Organic, Cold-Pressed High Linoleic Sunflower Oil • Organic, Cold-Pressed Walnut Oil • Organic, Cold-Pressed Almond Oil • Organic, Cold-Pressed Hemp Seed Oil • Organic, Cold-Pressed Sesame Seed Oil • Coconut Oil • Olive Oil • Animal Source Saturated Oils (Dairy, Meat, Poultry, Ghee) • Rice Bran Oil • Standard Grocery Oils - Corn, Soybean & Canola • Fish or Krill Oil and Omega 3/6 Supplements • Shortening • Hydrogenated or partially hydrogenated oils Question: Since one can buy Flax oil, Evening Primrose Oil, Sunflower Oil, at the health food store and consume them in a salad dressing, why go to the trouble and expense of buying the Brian Peskin recommended blend of oils? Answer: You can do that, and that would be a great practice. However, for busy people this might not be practical due to the effort in buying, mixing, protecting and regularly using your home made Parent Essential oil blend on salads. It certainly entails a lot of time to research where to buy quality oils, then purchase the high quality organic oils, blend them, store them properly and use them daily. You may find that you’re really not saving much money and are spending considerably more time than you would like to do that when you could just swallow four PEO soft gel capsules and check that important “to do item” off your list. If you go the time-consuming route, you need to make sure that you do purchase “undamaged” oils. Unless you purchase cold pressed oils, packaged in dark bottles and stored in the refrigerator, and verify the oils don’t have high Peroxide Values, then you will be making a mistake. You must not make too much of your oil blend or you run the risk need of the oils going bad before you use up your blend. If you aren’t careful to do this, you will probably be doing yourself harm instead of good because the oils will have become adulterated. The free peroxide values (free radical damage indication) of oils sold in clear bottles in stores and not refrigerated are typically very high (between 20 to 30) which means that they are damaged and will not support oxygen transfer to the cells and will age your cells. Also, it isn’t that simple to balance oils in terms of Parent Omega 6 and Parent Omega 3. We need much more undamaged Parent Omega 6 than Parent Omega 3. Most people get the ratio wrong. Brian Peskin recommends a 2.5:1 ratio of Linoleic (Parent Omega 6) to Alpha-Linolenic (Parent Omega 3) Acids. Each oil contributes its own ratio of LA to ALA. If the ratio of Parent Omega oils you consume is unbalanced to the Parent Omega 3 (ALA) side, i.e. less than 2.5:1 ratio, then your body will age more rapidly than it should. If the ratio is unbalanced to the Parent Omega 6 (LA) side, i.e. greater than 2.5:1 ratio, then oxygen diffusion into your cells will be less than it should. Also, remember that not everyone likes the taste of these oils. They have a different taste than what many people are used to. With the PEO soft gels, you don’t taste them. And, of course, the Peskin Parent Essential Oil blend of oils that we offer on this web site is protected from oxidation or free radical degradation by nitrogen and coconut oil saturation. Remember that free radicals are a prime causing of human aging. This free radical protection of the oils in PEOs is obtained by utilizing a dark colored bottle, encapsulating in hard gel capsules (and sealed in nitrogen) and mixing the oils with coconut oil. Coconut oil protects the easily damaged Parent Essential Oils from oxidation. It is possible that you may end up spending more money blending the oils on your own than just buying the Parent Essential Oils or that the oils may go rancid, especially, if you aren’t storing them in opaque bottles, mixed with the right amount of coconut oil to aid in minimizing oxygen degradation. Get Answers to These Questions about PEOs: What are Parent Essential Oils (PEOs) exactly? What oil sources make up the Brian Peskin recommended blend of oils called Parent Essential Oils? Why isn’t having high oxygen saturation (such as 98) all that one needs to worry about — in regard to satisfying the oxygen needs of the human body? Does oxygen need only to get from the lungs into the blood? 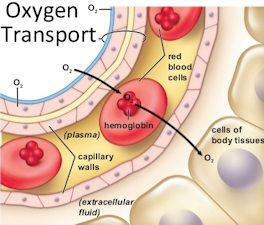 Or does oxygen need to travel further and go into each individual cell? Since oxygen is required to reach to the individual cellular level (and not just the bloodstream level), is it possible for the flow of oxygen from one’s bloodstream into one’s cells to be impeded? Why do you call modern grocery oils adulterated and how exactly do they impede the flow of oxygen into cells? What manufacturing processes alter the ability of modern vegetable oils to hold and release oxygen? Why does cooking adulterate vegetable oils? Do Parent Essential Oils have other benefits besides increased cellular oxygenation? Can you describe the manufacturing process for Parent Essential Oils (PEOs)? Why should I consume Parent Essential Oils (PEOs) instead of fish oil, krill oil or Omega3/6 supplements? Why do doctors recommend fish oil supplements if they are harmful to health? Can you give us a list of good oils and bad oils (in terms of cellular oxygenation)? Since one can buy Flax oil, Evening Primrose Oil, Sunflower Oil, at the health food store and consume them in a salad dressing, why go to the trouble and expense of buying the Brian Peskin recommended blend of oils? Question: What are Parent Essential Oils (PEOs) exactly? Answer: They are the two, short-chain, essential, polyunsaturate fatty acids, called scientifically, Linoleic Acid (LA aka Parent Omega-6) and Alpha Linolenic Acid (ALA aka Parent Omega-3). They are found in varying amounts in seeds, grasses, flowers, nuts and other plants. PEOs cannot be made by the human body from other nutrients. Therefore, they must come from food. Parent Essential Oils (PEOs) is a term coined by Brian Peskin to distinguish these two particular oils from all other essential fatty acids (derivative, long-chain EFAs) that the body can make if it has enough of the unadulterated parent oils (PEOs) from which to make them. Brian Peskin considered using the name Parent Omega Oils (POOs), but the abbreviation was too memorable, and didn’t include the concept of essential. Parent Essential Oils are essential because they MUST COME FROM FOOD. But, they are also essential in the sense that human life is not possible without them. To work properly in the cells and tissues of the body, Parent Essential Oils MUST be unheated, MUST be (chemically) unprocessed, SHOULD be organically raised and MUST be very carefully handled so that they maintain full physiologic functionality. Virtually all fast foods and modern, polyunsaturated, grocery oils contain adulterated, “non-functional” versions of Parent Essential Oils. This is a huge problem because these adulterated oils are insidiously damaging to health — we say insidiously because their damage isn’t recognized for years or decades. The primary way that adulterated or damaged Essential Fatty Acids (EFAs) are harmful is that they are no longer fully functioning Parent Essential Oils and will, therefore, no longer readily hold and release oxygen. All EFAs, except for these two parent oils (ALA and LA) are correctly termed EFA “derivatives”. This includes the most common derivatives such as Arachidonic Acid - AA, Docosahexaenoic acid - DHA, Eicosapentaenoic acid - EPA, etc. Question: What oil sources make up the Brian Peskin recommended blend of oils called Parent Essential Oils? Answer: The following cold-pressed, untreated, organic oils: • Organic Flax Oil • Organic Pumpkin Oil • Organic High Linoleic Sunflower Oil • Organic Evening Primrose Oil • Organic Extra Virgin Coconut Oil These oils were chosen because they have high content of the Parent Omega Oils called Linoleic Acid (Parent Omega 6) and Alpha Linolenic Acid (Parent Omega 3). The purpose of the Coconut oil is to help prevent oxygen contact with the Parent Omega Oils. Question: Why isn’t having high oxygen saturation (such as 98) all that one needs to worry about — in regard to satisfying the oxygen needs of the human body? Answer: A good way to think about this is to ask another question, “why does one need to eat food”? Wouldn’t it be sufficient merely to stock one’s kitchen pantries with food? (Isn’t food that’s really close at hand just as good as food in the stomach?) Well, obviously, one has to get the food out of the cupboard and into one’s body, for it do do any good for one’s health and vitality. So, the next question is really the same question as the first. Question: Does oxygen need only to get from the lungs into the blood? Or does oxygen need to travel further and go into each individual cell? Answer: Oxygen absolutely needs to go inside each and every individual cell. Oxygen going ONLY INTO the bloodstream is akin to putting food in one’s kitchen pantry. It doesn’t do much good there, unless it goes further into one’s body. Similarly, oxygen has to go into each cell. That’s because the miracle of life happens in each individual cell, not just in the bloodstream. Question: Since oxygen is required to reach to the individual cellular level (and not just the bloodstream level), is it possible for the flow of oxygen from one’s bloodstream into one’s cells to be impeded? Answer: Yes, and that is like saying, “what if something stops me from getting food out of my cupboards and into my mouth and eating it?” If anything stops you from taking food out of the cupboard and eating it, or if anything stops oxygen from going from the bloodstream into your cells, then what is needful IS NOT HAPPENING. And, this is precisely what happens when one consumes adulterated vegetable oils (which are virtually all modern vegetable oils). Those adulterated vegetable oils prevent the oxygen from going into the cells. Adulterated vegetable oils incorporate into cellular membranes (during cellular replication cycles) and thereafter reduce the flow of oxygen from the blood into cells. Adulterated vegetable oils act like a layer of plastic around cells, thwarting oxygen from going in to the cell. When adulterated essential fatty acids incorporate into cell membranes, they block or throttle down the transfer rate of oxygen into to cell. So, if one is eating modern vegetable oils, eventually one will come to the unenviable state of having normal blood oxygen saturation level readings (i.e., 96+) and simultaneously having insufficient oxygen within one’s cells to maintain health. Question: Why do you call modern grocery oils adulterated and how exactly do they impede the flow of oxygen into cells? Answer: We call modern grocery store oils adulterated because they have been changed in a way that they resist holding oxygen. They were purposefully engineered by food oil manufacturers to do NOT HOLD oxygen in order to delay the onset of rancidity in order to increase their shelf life (and profits). Thus, In the pursuit of higher profits, modern manufacturers purposefully prepare their vegetable oils for the market in a way that makes the oils resistant to acquiring, holding and releasing oxygen. They do this because oxygen is what causes vegetable oils to go rancid and to smell bad. Vegetable oils need to smell good so consumers will “like” them and buy them again, and again. In other words, the manufacturers’ goal of ensuring that vegetable oils smell fresh for as long as possible (which seems innocent enough) is a real problem to people’s health, since those “longer-shelf-life oils” will incorporate into our cell membranes and do in our cell membranes when they do in the bottles at the grocery store, namely, they will resist the transfer of oxygen through them (in this case from the blood into the cells). Not only do these adulterated vegetable oils resist oxygen transfer through the cell membranes, but they, also, resist sugar going through the cell membrane, so sugar stays in the blood stream longer — and blood sugar levels rise. That means that if one consumes modern grocery store oils over long periods of time, one has set the stage for diseases that are caused by low cellular oxygenation and increased blood sugar such as Cancer, Heart Disease, Parkinson’s’, Alzheimer’s etc. Question: What manufacturing processes alter the ability of modern vegetable oils to hold and release oxygen? Answer: Here are the various steps taking place with the majority of consumer oils which prepare oils for sale to consumers. The chemical and heating steps (brown) are the ones that alter chemical bonds within the oils so that they don’t hold oxygen very well: • Start with Seeds, Beans, Nuts, Fish or Krill (often these are not organic and not free of pesticides) • Wash • Squash, Mash or Grind • Solvent Soak (hydrocarbon solvent) • Remove solids (boil off at approximately 300° F. • Mix with Water to Separate Solids from oils • Spin to Remove Solids • Add Alkali (like lye or drain cleaner) and mix well • Spin to remove more particles • Bleach at 230° F. • Filter • Steam treat at 450° F. • Vacuum out water • Chill and filter again • Add preservatives and antifoam agent (silicone) • Package Question: Why does cooking adulterate vegetable oils? Answer: Heat changes chemical bonds in oils, resulting in oils that no longer transfer, hold and release oxygen well. Heat is one of the problem in modern manufacturing methods, but the high heat of cooking (especially frying) is even worse than the damage done by manufacturers to prepare there oils to be sold. So, when one cooks and fries vegetable oils, one is doubling down on the negative consequences. We believe that this is why states in the United States with “Southern Cooking” which are famous for frying foods in vegetable oil (making those oils oxygen resisting oils), have the highest Cancer and Cardiovascular Disease rates. Question: Do Parent Essential Oils have other benefits besides increased cellular oxygenation? Answer: Yes, P.E.O.s are the proper oils for the body to use build cell membranes that function optimally in all ways. Many health challenges are associated to faulty membrane function. This includes Multiple Sclerosis, hardening of the arteries, Lou Gehrig’s disease, and more. We recommend that you do not leave cell membrane health to chance because health is the result of many small and simple things, that together add up to health and longevity. We believe that one of those simple things is eating Parent Essential Oils so that you can be sure you have healthy cell membranes. Question: Can you describe the manufacturing process for PEOs? Answer: Yes. Unlike most commercial oil supplements, our PEOs are produced in small, carefully monitored quantities. The oils have no pesticides and have organic certification. Beyond that, the way you measure whether an oil is good or not is what’s called the PV (Perioxide Value, which is an indicator of free radical damage). We buy only organic seeds, or organic oils. The seeds are crushed to our specs, using a cold pressing methods. We then measure peroxide values of the constituent oils. The individuals oils are pressed and kept in drums that are covered with a nitrogen blanket, which simply means we cover them with a layer of nitrogen gas, which keeps them from being exposed to the oxygen in the ambient air. Oxygen causes oils to degenerate, so we use nitrogen to keep them fresh. After we blend the oils we ship them to the encapsulator. We use an encapsulator that does pharmaceutical grade encapsulation. In our case we use two-part hard gel-caps. We use a hard gel-cap because it’s more impervious to transmission of oxygen than vegetarian caps. With a two-part capsule there will be a bit of gas at the top end of the cap. You can’t avoid that, so what we do is use a nitrogen flush procedure so that the gas that you see in the capsule is nitrogen, not oxygen. 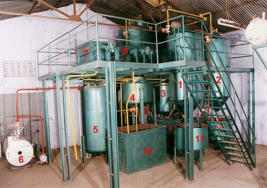 That further reduces the opportunity for the oil to oxygenate or oxidize. After the process is done, the capsules cure and then we measure the again for Peroxide Value (PV) and we typically see a very low PV for our product which is obviously what matters. Typically the PV is around 4-6. The slight variation is because we are dealing with agricultural products that vary. Also, we use coconut oil as a natural preservative to help inhibit oxidation. Obviously organic oils can oxidize very easily and so we have to be careful in every way possible. That’s our process and you can rest assured that you receive "parent" oils, not the harmful overdoses of "derivatives," as found in so many commercial products. FYI: we have tested product after one and a half years and we found that PV never rose higher than 9–10 which is still relatively low. As a comparison, if you were to go into a grocery store and pick up some sunflower seed oil in the normal clear glass bottle, you would find numbers ranging to well over 20 or 30 and, therefore, an inability for them transfer oxygen. Also, we have tested the PV values of the oils in our solid white opaque bottle. The PV is same or better than in the capsules and holds a low PV value longer than in the gel capsules. It is also a better value because a bottle has six weeks worth of oils as compared to only four weeks in the gel capsules. Question: Why should I consume P.E.O.s instead of the popular fish oil, krill oil or Omega3/6 supplements? Answer: Your body cannot use all of the Omega derivatives that are in fish oil/krill/oil type of supplements. The excess derivatives create free radical damage and stress within the body (in other words, your tissues grow older faster). The body can only use a small amount of Omega fatty acid derivatives. The excess Omega derivatives become stressors and aging accelerators because they are easily turned into free radicals (because of their easily damaged double bonds) and when incorporated into our cell membranes contribute to hastened membrane peroxidation. When you eat P.E.O.s the body will only make small amounts of derivative oils - not much more than it needs. There will be no huge excess amounts of Omega derivatives in your body to hasten aging in your cells. It is better to prevent free radical formation than it is to neutralize free radicals after they are formed and then to try to repair cells that have been damaged by free radicals. This is why fish oil supplements should generally be avoided, placing them in the same category as antibiotics or steroids in terms of how long they should be used. The idea of taking fish oil supplements and antioxidant supplements to neutralize the bad effects of fish oil is dumb. Having excess unsaturated fatty acid derivatives in the body contributes to excess free radical production. Question: Why do doctors recommend fish oil supplements? Fatty acid derivatives such as EPA and DHA are essential to life. It isn’t widely known by doctors, however, that a person doesn’t need to supplement with these derivative oils, because the body can make them from the Parents Omega Oils. So, although, essential to life, they aren’t essential to eat. Many groups of people don’t eat fish, but are perfectly healthy. Today, however, most people don’t eat enough undamaged Parent Oils and as a result may not be producing enough EPA and DHA derivatives. Instead of suggesting that people supplement with fish oil, doctors should be suggesting that their patients supplement with undamaged Parent Oils. That would be a better solution. They just don’t understand this. Because diets have moved away from raw plant foods in the last 50 to 70 years, many people do not get enough of the unadulterated Parent Omega Oils (LA and ALA). Therefore, their bodies do not have enough undamaged parent oils from which to create derivatives. For this reason, many people do benefit from supplemental DHA and EPA, but, only in very small doses (a few-milligrams not like the supra=pharmacological gram doses in fish oil supplements). Doctors have been confused by studies that show that fish oils act like steroids in the body, benefiting persons with arthritis symptoms. Neither steroids, nor fish oil are particularly good for long term use. Doctors, also, hear that fish oil helps to lower lower triglycerides in the blood. Doctors don’t seem to learn, however, that fish oil has no effect on heart-disease caused mortality. Their goal shouldn’t be a good blood test, but a good patient outcome, i.e. less heart disease. In the long run, getting the parent oils is always the better solution than taking the derivative oils. Fish oils could be used either short term, or in 1/50th the dosage amount that is normally recommended. So, again, what is not understood by most physicians is that Omega derivatives can be (and are) made in the body, from the parent EFAs, on an “as needed” basis in extremely limited quantities, as long as the parent oils are consumed in an adulterated form. Therefore, consumption of EFA derivatives from food is not necessary. What is also not understood by most doctors is than any temporary benefits are really not worth long term bad effects. Widely popular fish oil supplements consist entirely of the derivatives, DHA and EPA, and in such large, suprapharmacological OVERDOSES, that they overdose the patient, causing some benefit (the tiny amount that is needed), but also, causing damage due to the overdosed amounts. Paradoxically, fish oil provides no Parent EFAs for cells to use to build cell membranes. Few, if any, physicians ask to see the ”normal standard” values of physiologic DHA/EPA amounts in tissue and plasma compared to the parent PEO amounts in tissue and plasma. When they discover the truth of how little DHA and EPA there should be in relation to how much they have been administering, physicians are shocked and dismayed that they have been (unknowingly) harming their patients. Question: Can you give us a list of good oils and bad oils (in terms of cellular oxygenation)? Answer: Sure: (good, neutral, bad): • Organic Blend of Parent Essential Oils (already in a 2.5:1 ratio of LA to ALA) • Organic, Cold-Pressed Evening Primrose Oil • Organic, Cold-Pressed Pumpkin Seed Oil • Organic, Cold-Pressed Flax Seed oil • Organic, Cold-Pressed Safflower Oil • Organic, Cold-Pressed High Linoleic Sunflower Oil • Organic, Cold-Pressed Walnut Oil • Organic, Cold-Pressed Almond Oil • Organic, Cold-Pressed Hemp Seed Oil • Organic, Cold-Pressed Sesame Seed Oil • Coconut Oil • Olive Oil • Animal Source Saturated Oils (Dairy, Meat, Poultry, Ghee) • Rice Bran Oil • Standard Grocery Oils - Corn, Soybean & Canola • Fish or Krill Oil and Omega 3/6 Supplements • Shortening • Hydrogenated or partially hydrogenated oils Question: Since one can buy Flax oil, Evening Primrose Oil, Sunflower Oil, at the health food store and consume them in a salad dressing, why go to the trouble and expense of buying the Brian Peskin recommended blend of oils? Answer: You can do that, and that would be a great practice. However, for busy people this might not be practical due to the effort in buying, mixing, protecting and regularly using your PEO oil blend on salads. It certainly entails a lot of time to research where to buy quality oils, then purchase the high quality organic oils, blend them, store them properly and use them daily. You may find that you’re really not saving much money and are spending considerably more time than you would like to do that when you could just swallow four PEO softgel capsules and check that important “to do item” off your list. If you go the time-consuming route, you need to make sure that you do purchase “undamaged” oils. Unless you purchase cold pressed oils, packaged in dark bottles and stored in the refrigerator, and verify the oils don’t have high Peroxide Values, then you will be making a mistake. You must not make too much of your oil blend or you run the risk need of the oils going bad before you use up your blend. If you aren’t careful to do this, you will probably be doing yourself harm instead of good because the oils will have become adulterated. The free peroxide values (free radical damage indication) of oils sold in clear bottles in stores and not refrigerated are typically very high (between 20 to 30) which means that they are damaged and will not support oxygen transfer to the cells and will age your cells. Also, it isn’t that simple to balance oils in terms of Parent Omega 6 and Parent Omega 3. We need much more undamaged Parent Omega 6 than Parent Omega 3. Most people get the ratio wrong. Brian Peskin recommends a 2.5:1 ratio of Linoleic (Parent Omega 6) to Alpha-Linolenic (Parent Omega 3) Acids. Each oil contributes its own ratio of LA to ALA. If the ratio of Parent Omega oils you consume is unbalanced to the Parent Omega 3 (ALA) side, i.e. less than 2.5:1 ratio, then your body will age more rapidly than it should. If the ratio is unbalanced to the Parent Omega 6 (LA) side, i.e. greater than 2.5:1 ratio, then oxygen diffusion into your cells will be less than it should. Also, remember that not everyone likes the taste of these oils. They have a different taste than what many people are used to. With the PEO softgels, you don’t taste them. And, of course, the Peskin P.E.O.s blend of oils that we offer on this web site is protected from oxidation or free radical degradation by nitrogen and coconut oil saturation. Remember that free radicals are a prime causing of human aging. This free radical protection of the oils in PEOs is obtained by utilizing a dark colored bottle, encapsulating in hard gel capsules (and sealed in nitrogen) and mixing the oils with coconut oil. Coconut oil protects the easily damaged Parent Essential Oils from oxidation. It is possible that you may end up spending more money blending the oils on your own than just buying the Parent Essential Oils or that the oils may go rancid, especially, if you aren’t storing them in opaque bottles, mixed with the right amount of coconut oil to aid in minimizing oxygen degradation.